I recently read How To Travel with Tea by Gwen Bell, which caused me to reflect on my own tea habit. 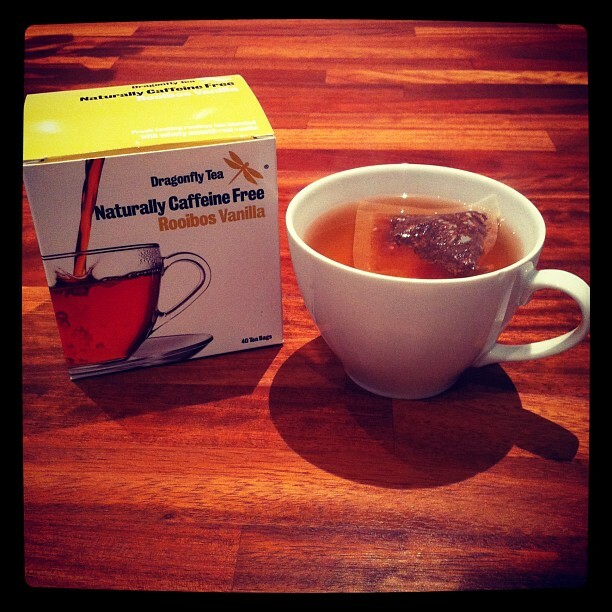 It is caffeine free which is great for me, as the rate at which I drink tea would cause me heart palpitations. I speak from experience on this point. I love that I can this tea drink tea right before bed, yet still fall asleep without my heart racing. There is something special about the vanilla aroma. I find it luxurious and comforting. When I travel, I usually take my own bone china mug and teabags. It makes me feel instantly at home. I am on the lookout for a teabag travel case, tiny and compact. Can you recommend one? 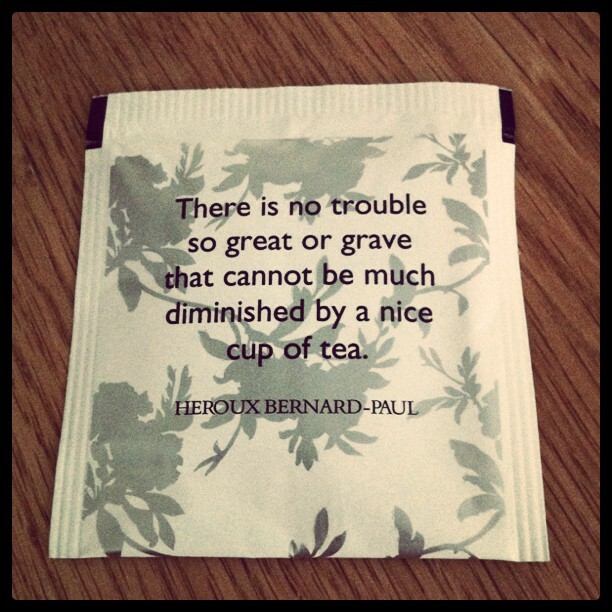 What is your tea of choice? If you like my posts you might like to subscribe to the free daily letter. I also take things a deeper in Beyond The Surface.